10 April Fool’s Day Recipes that will have your family and friends fooled — and smiling! This is one of the shorter lists that we’ve compiled but I’m so excited about it! 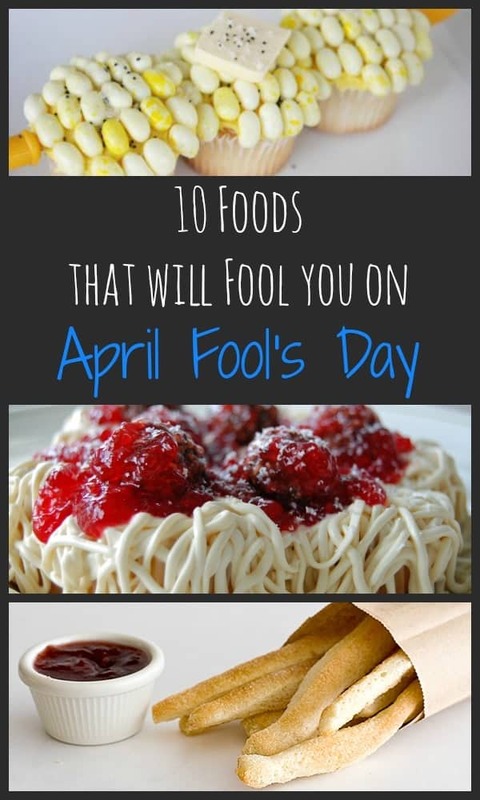 These recipes for April Fool’s Day are so fun and creative. My daughter would flip if I made her any of these. They are so fun and would definitely fool my daughter along with many other people. Come to think of it — I should make some of these and then I could eat cupcakes in front of my daughter without her bugging me for “just one bite and then we’re all done,” because she’d think I was eating peas and carrots. It’s genius, really. Oh wait — that’s probably not the point of these fun treats. 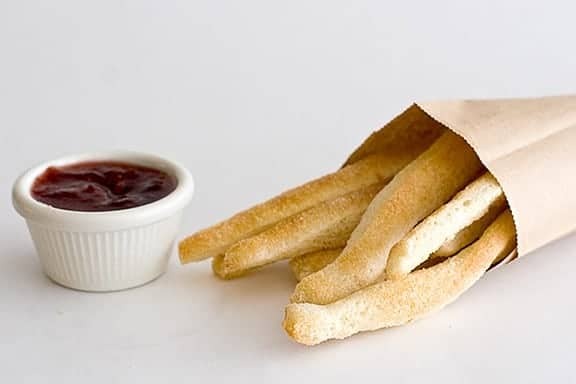 But you should make these — I think I want to start with the “French Fries.” Not only will you be eating tasty treats, but you’ll also be having a fun time with family and friends. 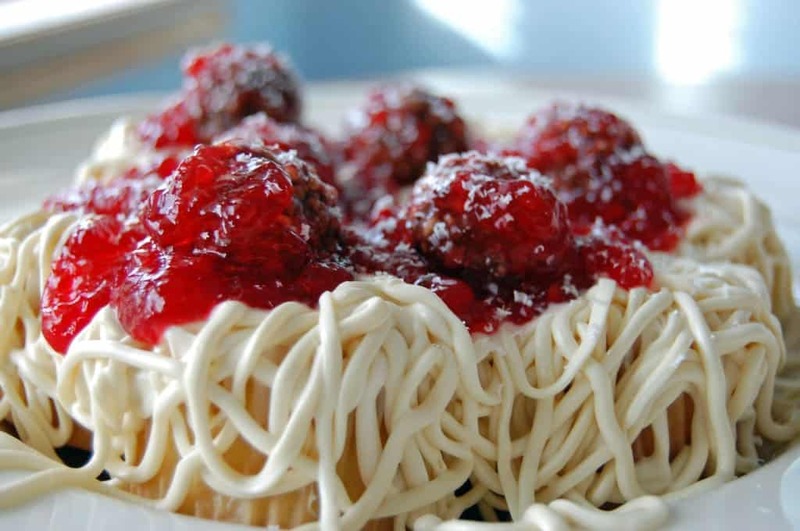 Spaghetti and Meatballs? Nope — those are cupcakes! There’s a fun pizza look-alike, jello eggs, and cupcakes that look JUST like peas and carrots! Do you have any fun April Fool’s Day recipes or traditions? Are you a jokester or do you stay far away from the trickery? I’m sort of lame and don’t really get into pranks and tricks too much but when there are cupcakes involved, I am all in! These ideas are most precious! What a fun post! So cute and clever! What a great roundup! 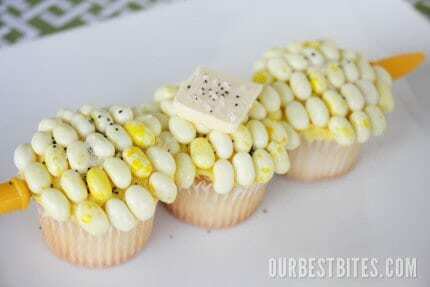 That corn is just too cute (even if buttered popcorn is my least favorite Jelly Belly flavor)!